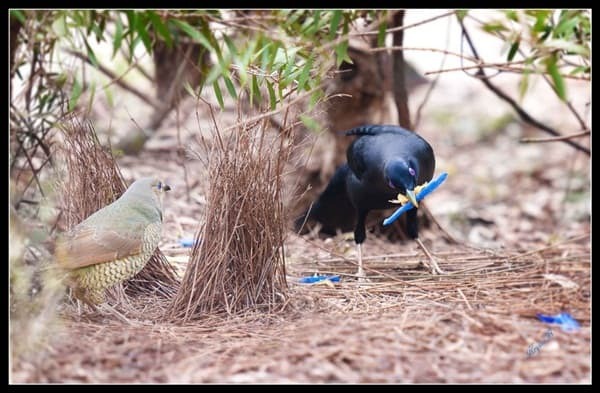 It has been seen that ravens and crows have shown a lot of creativity in using small pieces sticks to pull out insects from logs. They even dropped walnuts in front of automobiles to open them up and even used paper bits to use like a tool. 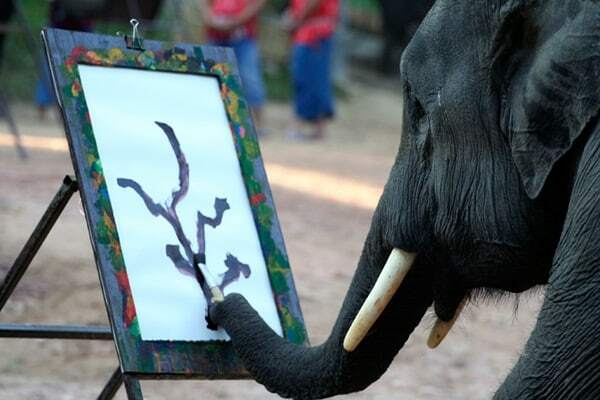 Elephants have always shown a lot of creativity and intelligence and they are able to use the trunk like a hand. They use the trunk to scratch, pull things and other things. Their exceptional talent is that they actually show some artistic talent and have been known to paint paintings on a canvas. 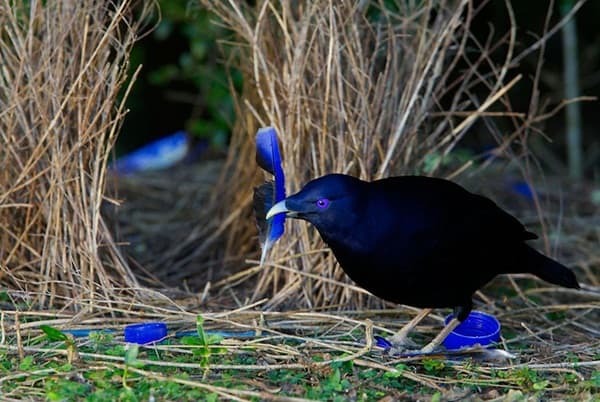 While most birds can build a nest, Bower birds mainly found in New Guinea or Australia actually decorates their nests with view to attracting a mate. 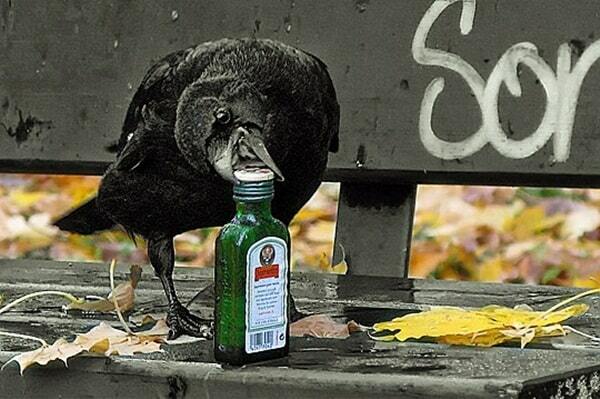 They are known to look around for stuff like pieces of glass, beads and other things to decorate their nest. There are many examples of primates using tools like chimpanzees using twigs to fish for termites, using wood and stone tools to open up nuts and using sticks as support for walking and as spears. Orangutans have been known to open locks using paperclips and Capuchin fashioning knives out of stones by banging them till they get a sharp edge. 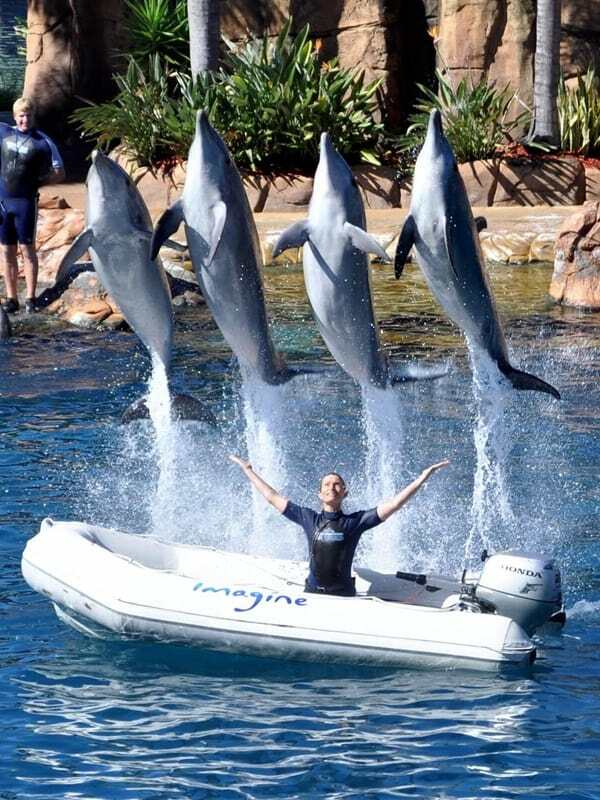 We all know that dolphins are very bright and are known to use the flippers like hands. In 2005 it was observed that they actually pull bits of sponge and putting them on their nose to prevent it getting hurt as they hunted on the floor of the sea. 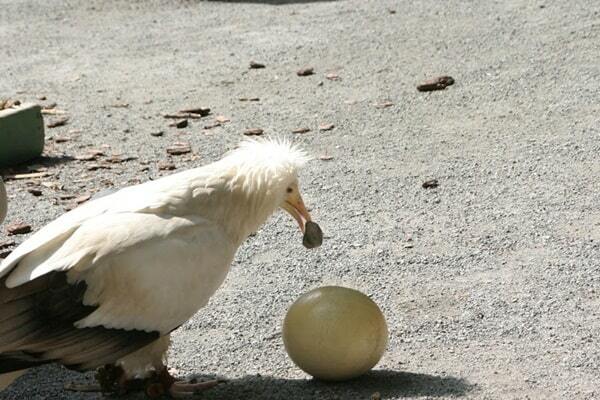 We know that birds use tools a lot and one of the outstanding examples is the Egyptian vulture which uses rocks to break open its favorite food – ostrich eggs. We all know that octopus are remarkably bright creatures but did you know that they used tools that they came up with. 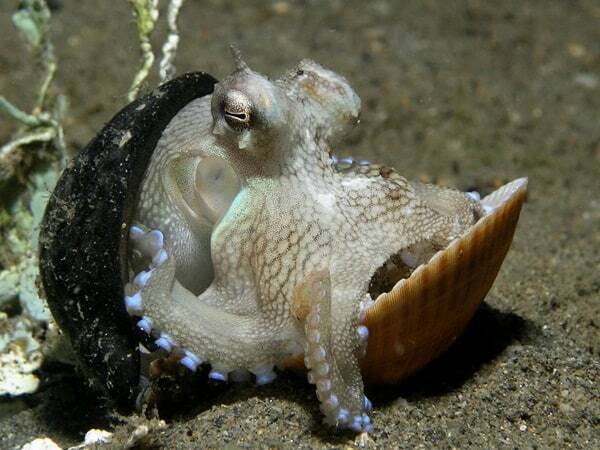 The octopus carts around both halves of a shell which he closes when he needs to hide. What is more the Blanket octopus, will get off tentacles for jellyfish to use as weapons. 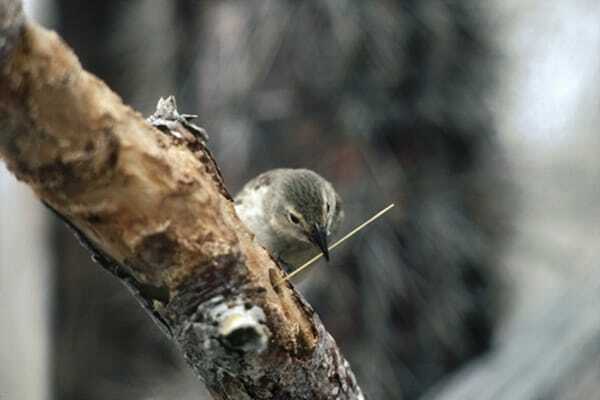 Finch are generally known to use tools but the best known one is the Galapagos woodpecker finch which uses twigs of the right size to pull out insects from small holes when its beak is too large to go in there. Insects are known to use tools especially insects that are social like wasps and ants. 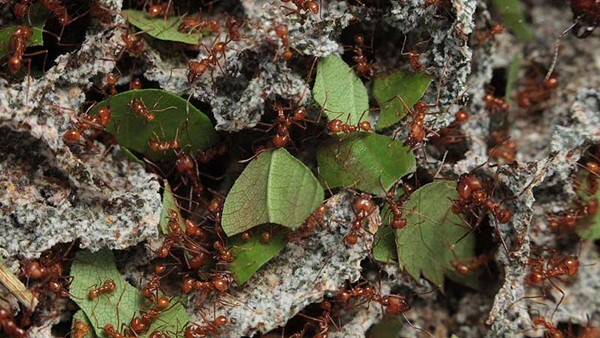 The leaf cutter ant actually does agriculture by cutting leaves into bits and using them as fertilizer to grow fungus that is their favorite food. Myrmidon ants also use leaves as a receptacle to cart around water and food. Mud wasps will make the mud flat by hitting on it with stones. These creatures are known to use their intelligence to fish better. 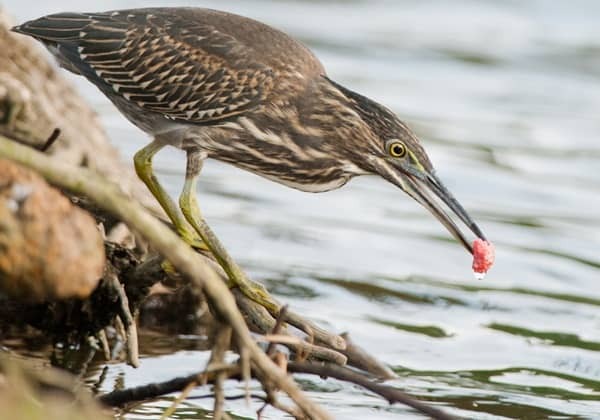 They lure fish to come to them rather than going into the water. 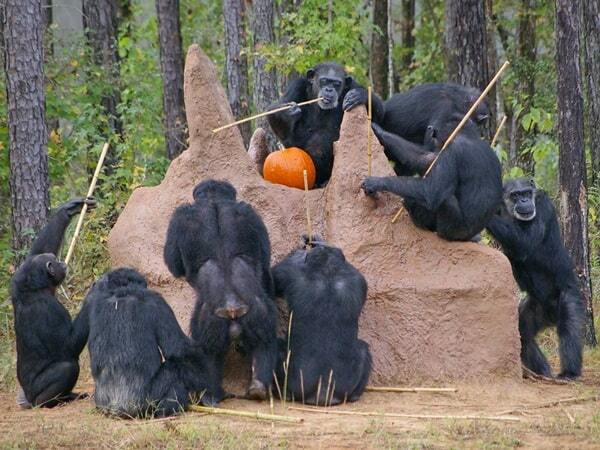 They are even seen spreading food on the water to bring fish to come up with. 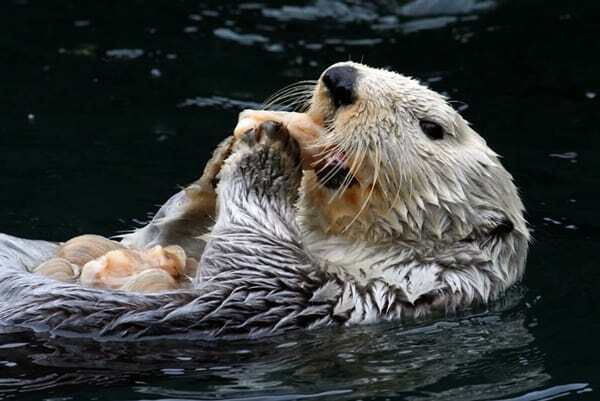 The sea otter has strong jaws but it is not sufficient to take the flesh from a clam or oyster. So this mammal has a stone with it on the belly which it uses to batter the flesh out of the mollusk. 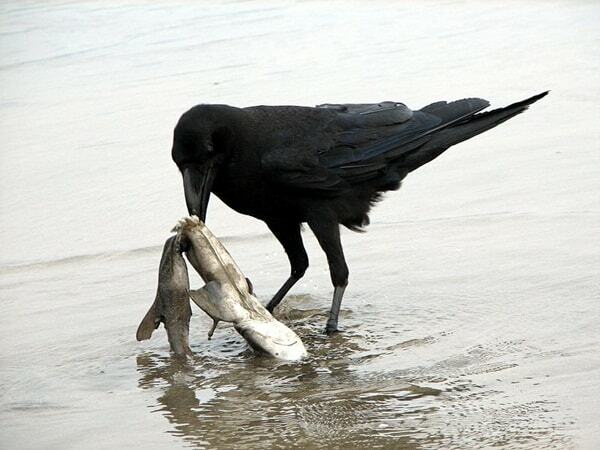 Other fish may simply wait around for its prey to fall into the water so that they can then attack and consume it. 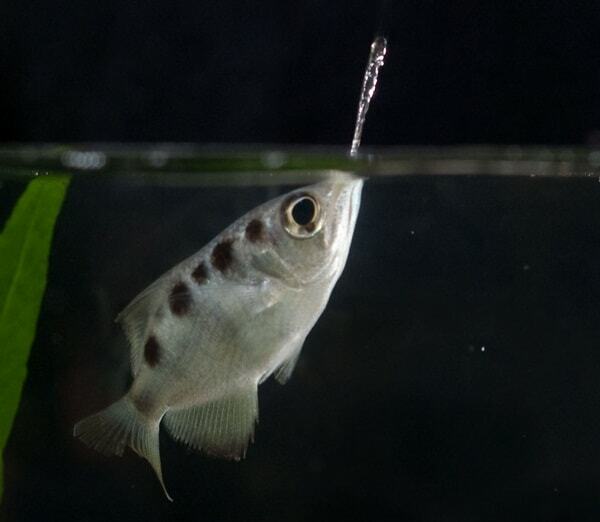 But the archer fish is more proactive and use their especially adept mouth to shoot their prey down with water in a stream. Their aim is so good that adult archer fish rarely miss and is known to have a range of as far as 3 meters. If everyone is doing it, then can crabs be far behind. 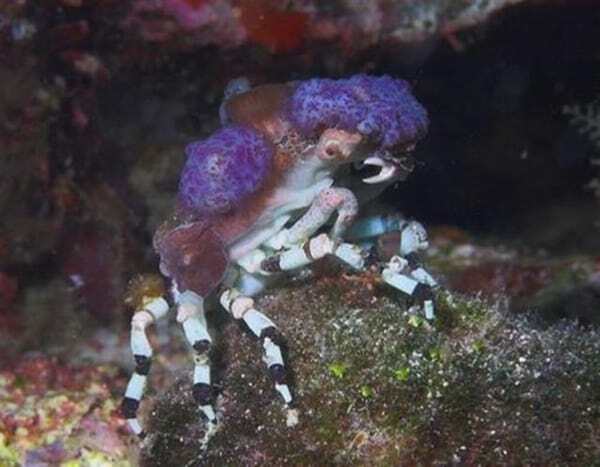 Not only do they use their claws as an object to manipulate things but they even dress their own selves by simply lifting sea anemones and wrapping them on to their back. This list would not be incomplete without the beaver. 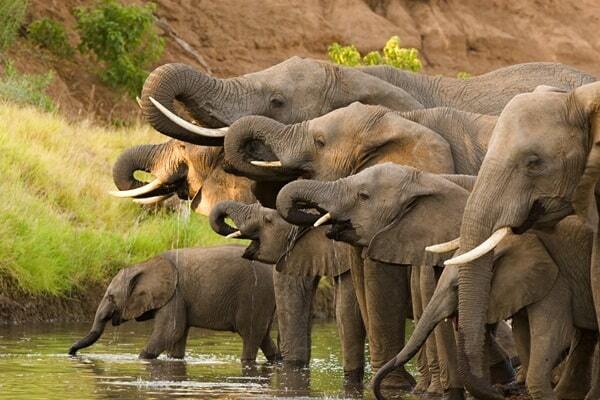 This animal actually builds dams that protect them from attackers and to provide them access to nourishment. 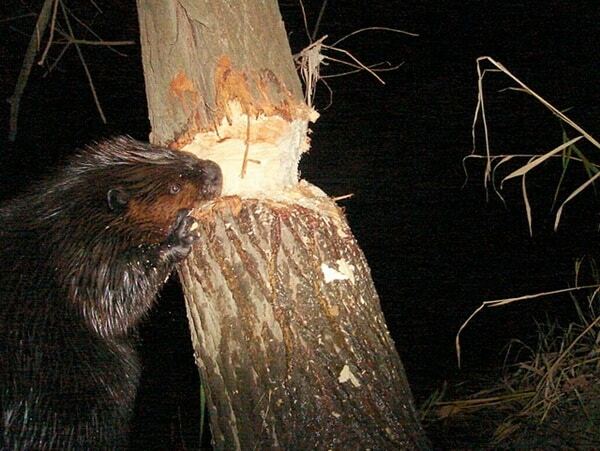 Their dams are known to be as big as 2790 feet and beavers use wood that they cut from trees, stones and mud. 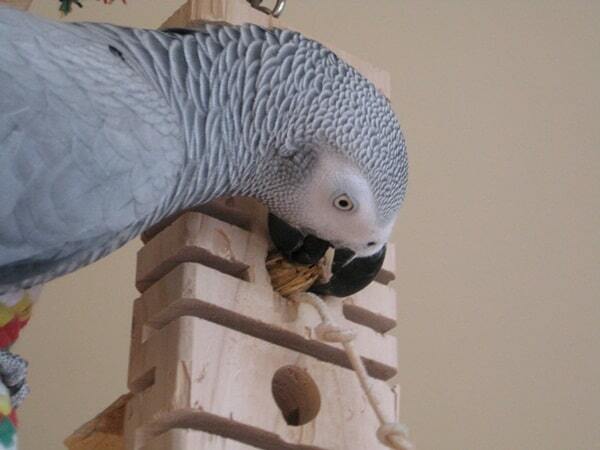 Parrots are known to be really bright and can be used as an example of birds using tools. 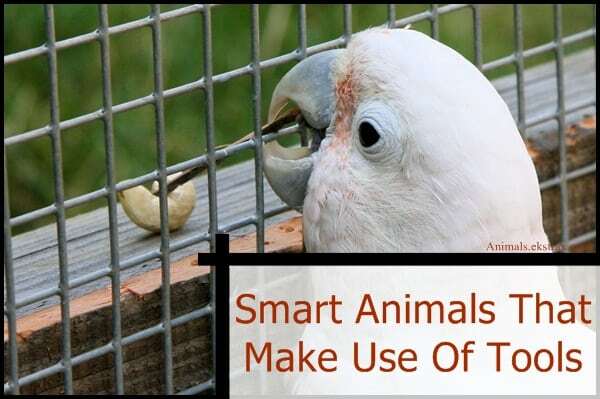 They surprise their owners by using some bit of plastic and metal to open the lock on the cage. Cockatoos even pad the beaks using leaves to soften the impact and provide traction like humans do to open up nuts.